If you’re looking for a more classic look for your home, wood replacement windows are the perfect choice. With our certified professionals at Siding & Windows Group, you’re not only getting installation of a brand new window and frame, you’re getting the best guidance on which one best suits your home. Even with advanced technology offering new and improved window materials, traditional wood is still an amazing material for your windows. Not only does wood look amazing, it is also a sustainable material offering excellent thermal insulation, outstanding durability, low maintenance, and the option of easily being repaired. Most importantly, wood windows provide versatility and can add warmth to your home. 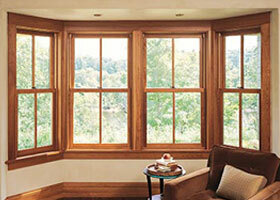 The main drawback to wood windows is that wood can be pricey, depending on the wood species used. Many wood-window manufacturers offer cladding, an exterior covering that eliminates the need to paint the exterior of wooden windows. 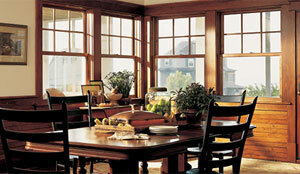 Wood windows enhance your home’s visual appeal, adding warmth and richness. Wood is unaffected by temperature extremes. Wood is available in numerous different species to suit your needs. When wood windows are required, Siding & Windows Group prefers to use Marvin, but we also use products from Pella and Andersen. Start with one of Marvin’s thousands of standard windows and doors. Then choose from 7 interior wood specie options. Nineteen clad colors. Multiple glass and hardware options. And limitless divided lite patterns. Or start with an idea and we’ll bring it to life as a one-of-a-kind window or door. Marvin windows and doors are built to last because they’re built to resist the most extreme elements. Each window is crafted with real wood throughout. Marvin’s exteriors feature extruded aluminum cladding that is substantially stronger than typical roll-form aluminum, with paint finishes that keep colors strong and true as it resists chalking and fading. Together they exceed the American Architectural Manufacturers Association (AAMA) specification with commercial strength and durability. Virtually all Marvin products already meet or exceed federal ENERGY STAR guidelines. At Marvin, they always strive to meet the needs of an ever-changing environment. That’s why they’re committed to building energy efficiency into product performance while bringing your inspiration to life. Marvin offers a variety of energy-efficient glass options including LoE2–272®, LoE3–366® and High-R Tripane—so there is a glass option for any need. Some of the latest include the revolutionary wash mode on Marvin’s Ultimate Casement Collection that lets you easily clean both sides of windows from inside. Marvin’s Lift and Slide Door hardware allows for sweeping views and clear expanses up to 46 feet wide and 12 feet high. And Marvin’s Low Profile Sill delivers unmatched performance and a flush transition between interior and exterior spaces with Marvin’s Ultimate Sliding French Door and Sliding Patio Door. You get the peace of mind knowing your windows and doors are backed by the most knowledgeable and responsive experts in the industry. From exact measurements to advice on which window configuration would be right for your space, Siding Group & Windows Group is there throughout the process. Continually striving for improvement, Marvin Windows and Doors has introduced initiatives that rethink our value chain and improve resource productivity while lowering environmental impact. By implementing green practices, they help make producing beautiful windows an environmentally friendlier process. Pella® windows are built to last. And engineered to endure. What makes Pella the best choice in Windows? A wide variety of styles and options. Your new windows should not only match the architectural style of your home, but also your lifestyle. Quality construction. Pella windows are built to last. And engineered to endure. Pella makes sure your windows will stand the test of time — and stand up to the elements. Premium Aesthetics! Experience the unique features and options that make Pella windows so extraordinarily beautiful. Pella’s energy-saving technology can make a major difference in your comfort and energy use – with products that deliver up to 74% more energy efficiency. Rest assured. Unlike some window and door companies, Pella will be here for you after the sale. They stand behind their quality products with some of the best warranties in the business and a national network of service specialists. The Low-E glass in Andersen windows works like sunblock to help protect your home and furniture from ultraviolet (UV) light. Andersen windows have tough protective shells that never need painting. 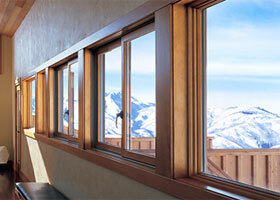 Andersen windows and doors use natural wood to create a timeless combination of beauty and durability. 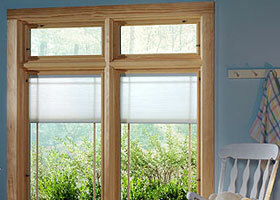 Andersen® windows can insulate a room as well or better than the walls that surround them. Not all warranties are alike. Andersen’s Owner-2-Owner™ limited warranty can add resale value to your home. Replacement window and door parts, even some from 50 years ago.